Enjoy the popular classic look in your bathroom with this beautiful vanity. Its beautiful white marble counter and brown solid wood base bring a great new look into your bathroom. This simple vanity set from American Imaginations will fit right into any bathroom decor. 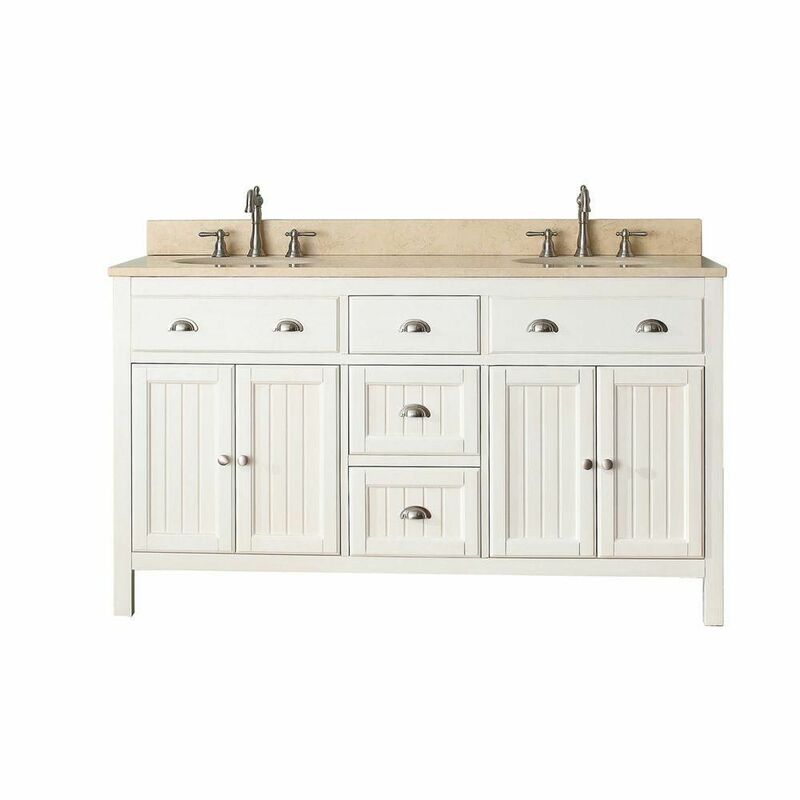 Hamilton 61-inch W 3-Drawer 4-Door Vanity in White With Marble Top in Beige Tan, Double Basins This vanity has both an all-around look and a traditional style. Its beige tan marble counter and white solid wood base are very easy on the eyes. Put a nice touch on your bathroom's look with this vanity set from Avanity. Hamilton 61-inch W 3-Drawer 4-Door Vanity in White With Marble Top in Beige Tan, Double Basins is rated 5.0 out of 5 by 1. Rated 5 out of 5 by Linsuzza from It is sturdy and very well made. The box was a bit damaged but the packing material was quite su... It is sturdy and very well made. The box was a bit damaged but the packing material was quite substantial and did its job protecting it. The sinks were packed separately and also well packed. It vanity looks amazing.